Lightweight and precision-molded of durable, high-impact polystyrene. Multi-compartment tray with riveted bill holder assembly to maintain bill weight positions. Rounded coin compartments. 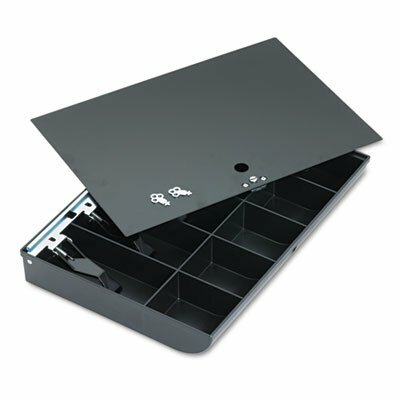 Cash Drawer/Box/Tray Type: Tray; Money Tray Features: 10 Compartments; Bill Weights; Material(s): Plastic; Steel; Width: 16\."